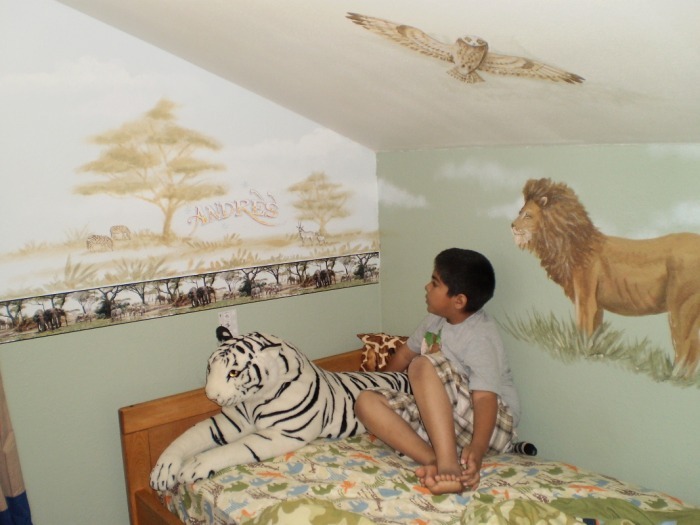 Andres is a loving seven-year old boy who loves animals, looking at picture books, going to the zoo and spending time with his family, including older sister Dulce. Diagnosed with autism as a toddler, Andres is non-verbal and struggles to communicate. 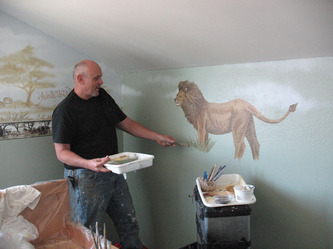 His passion is animals, particularly elephants, lions, tigers and giraffes. 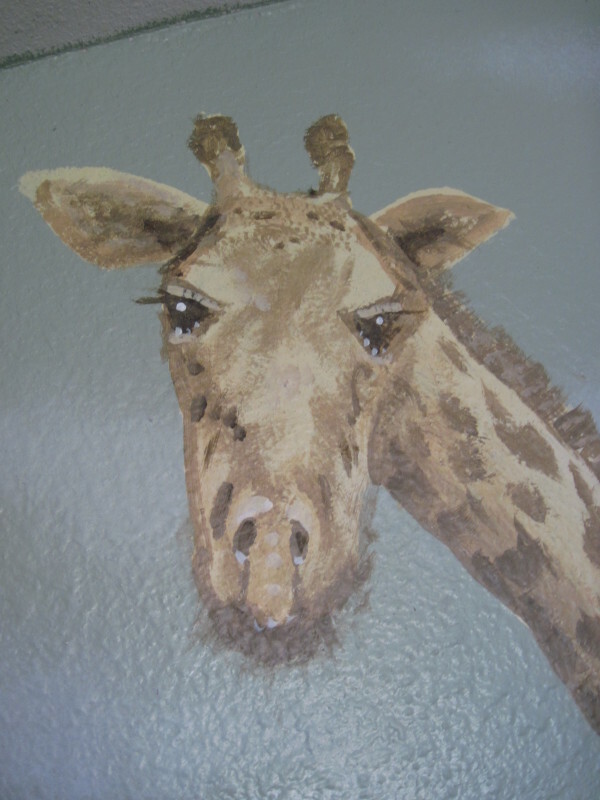 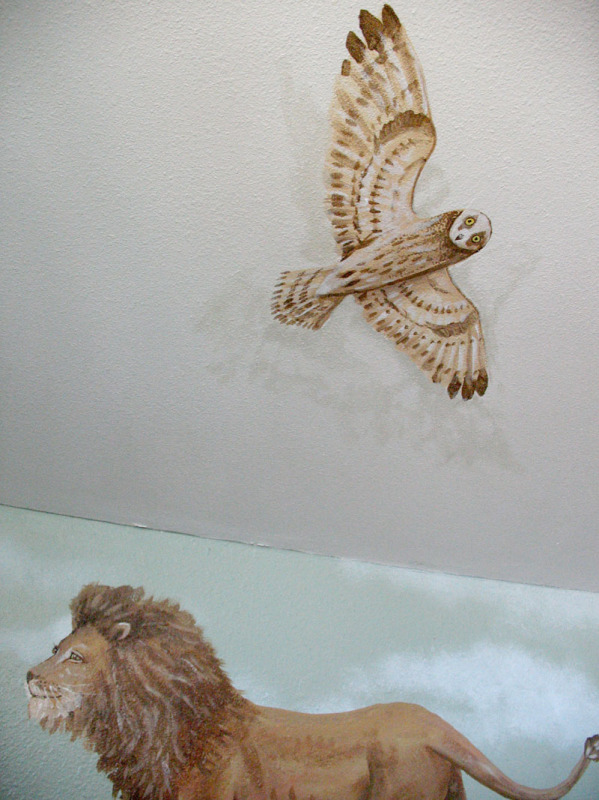 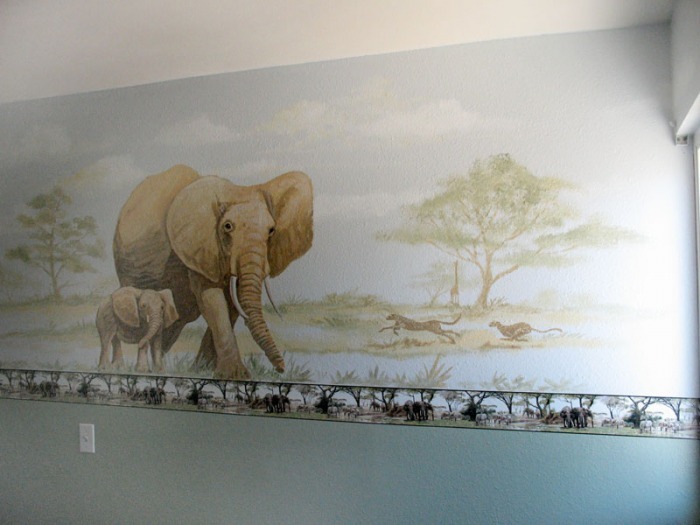 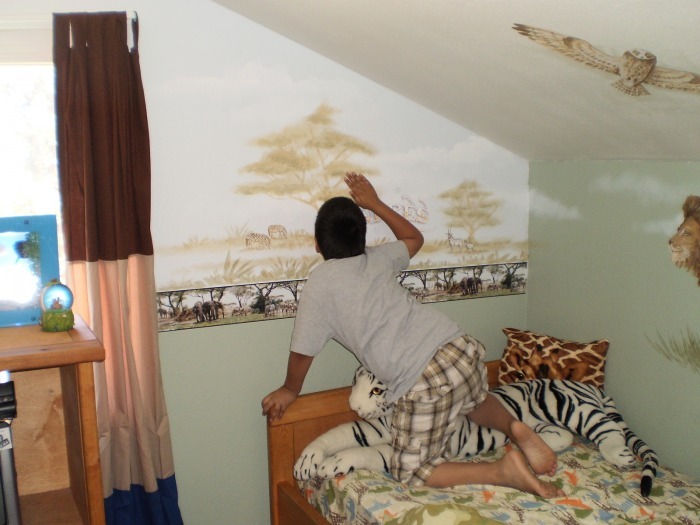 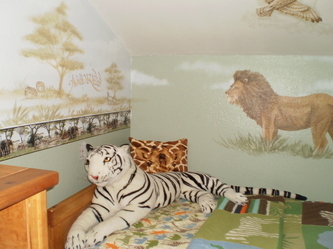 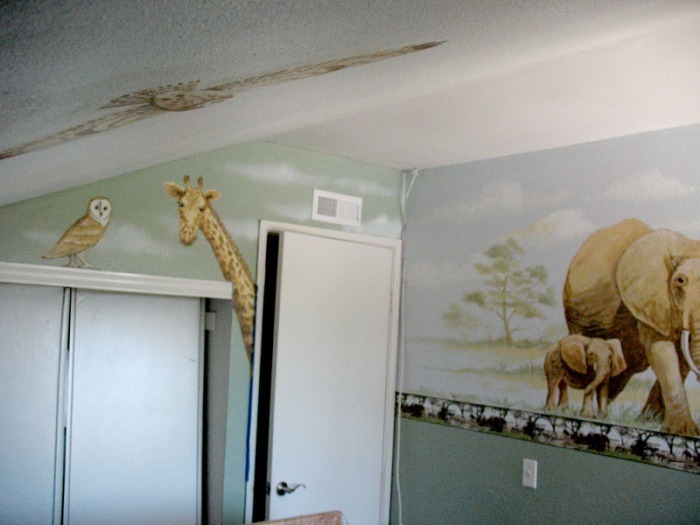 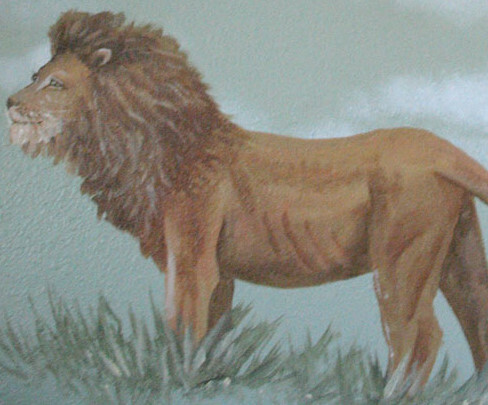 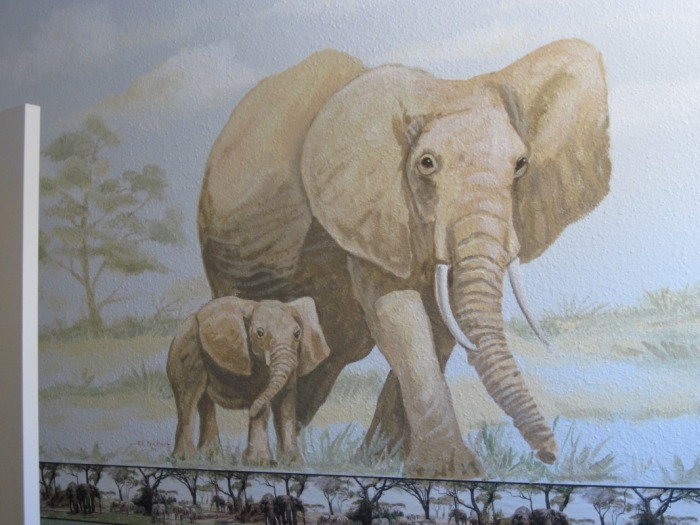 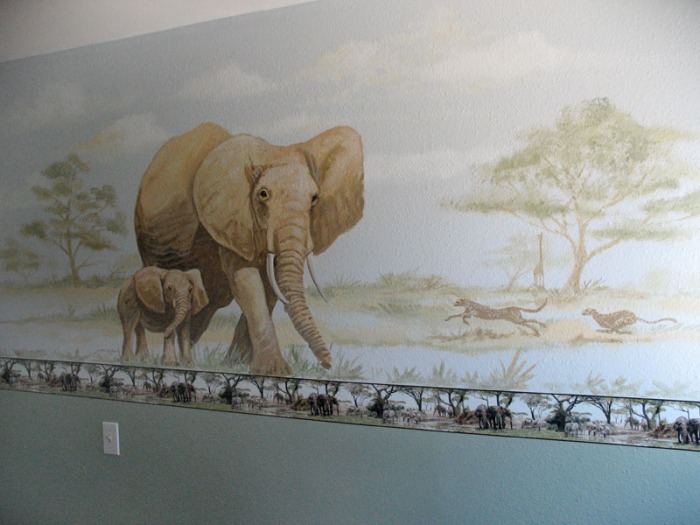 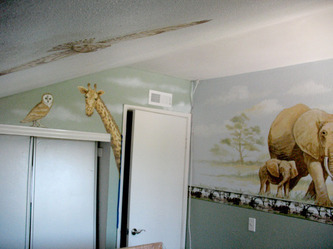 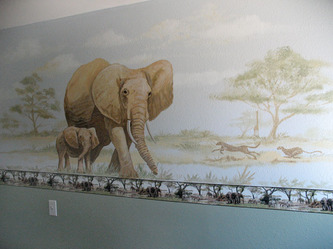 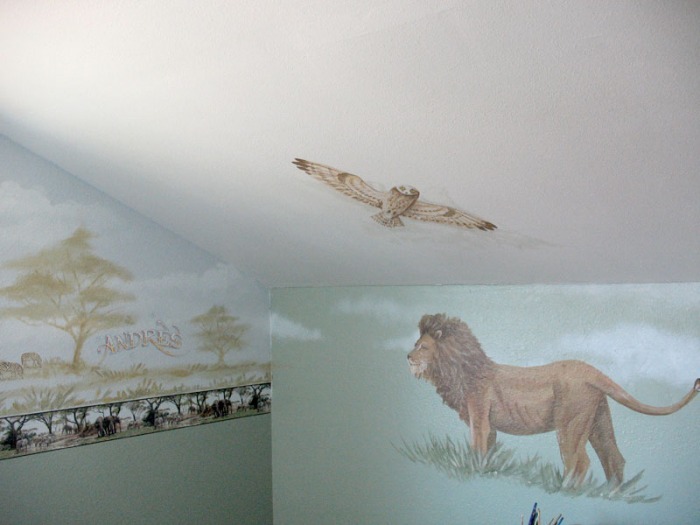 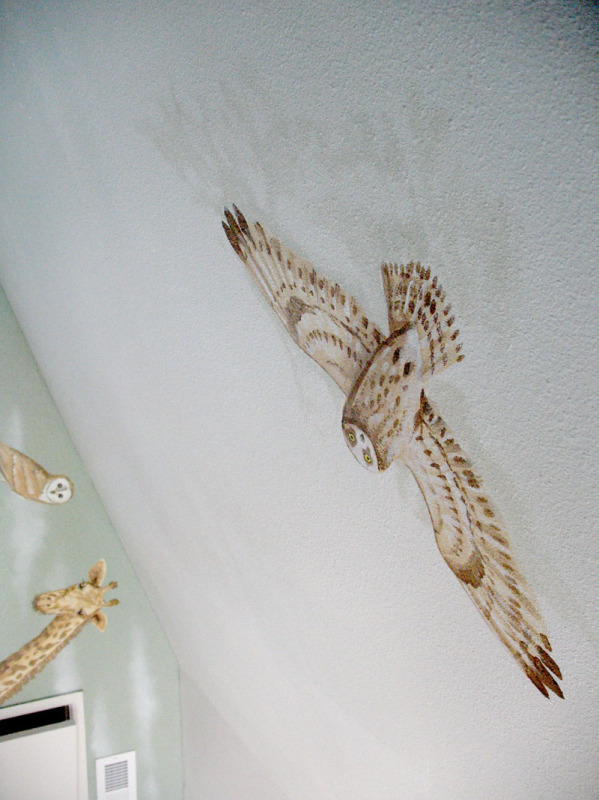 Thanks to Rik at Murals Fantastic, Cecily's Closet was able to transform Andres room into a sea of animals. 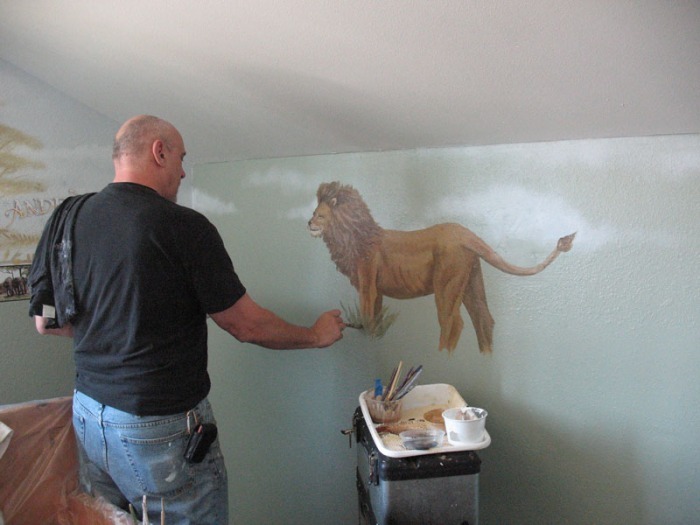 Rik exceeded our wildest expectations with his beautiful and realistic artwork! He even spent time to understand Andres and his challenges. He took pictures from Andres favorite book and turned them into murals upon the wall, complete with his name above his bed! 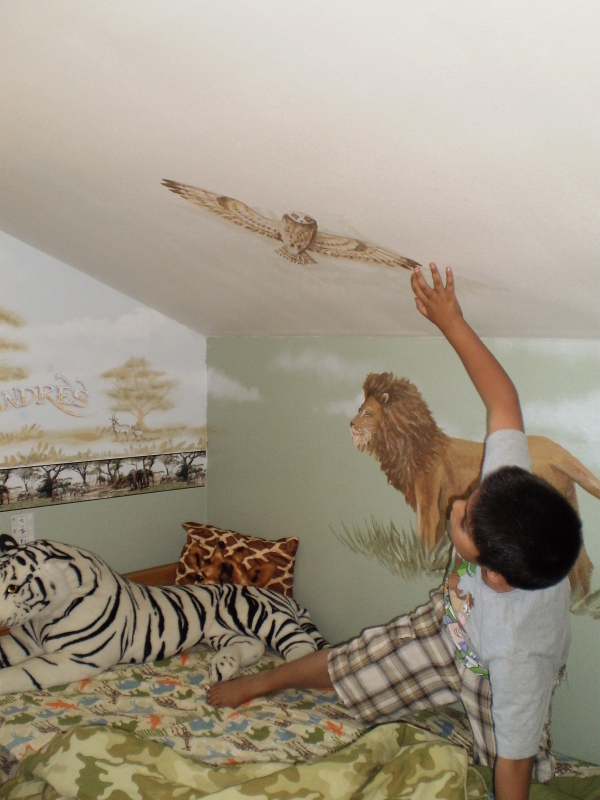 Upon entering the room, Andres was overwhelmed. Change is hard for anyone - but it can be very difficult for children with severe autism. 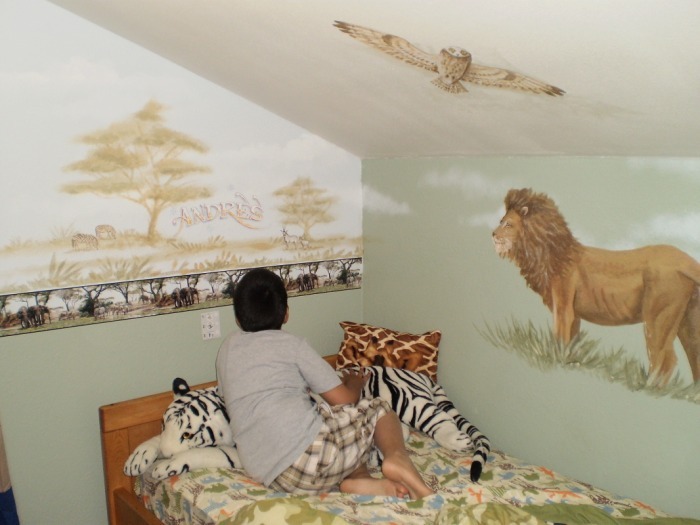 He looked around the room in amazement and said giraffe! 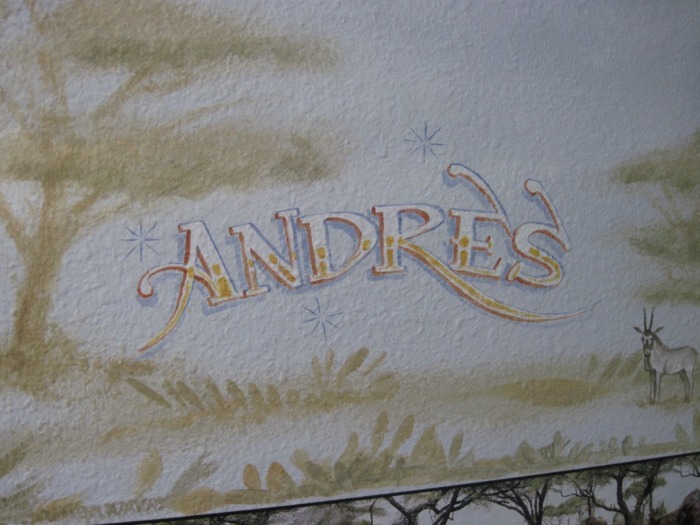 This is an amazing story as Andres can only say a handful of words. 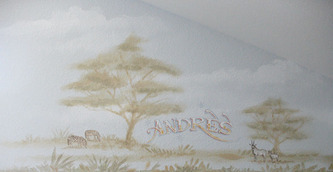 We are grateful to be able to provide Andres and his loving family this gift. 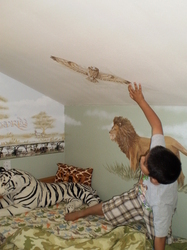 Andres is blessed to have a Mom and Dad that advocate for him and that strive to promote his development by supporting his love for animals. 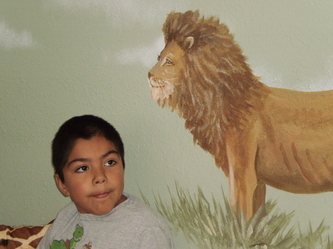 Andres is just one of thousands of children with special needs in San Diego. Thank you to our generous donors for making his "Sweet Dreams" makeover come true!